Welcome to Brussels, the capital of Belgium and seat of the European parliament. This city is known to be a melting pot of different cultures and completely surrounded by Dutch-speaking Flanders, whereas the city's population itself is majorly francophone (80%). Get ready for beautiful Flemish architecture, yummy waffles, a statue that got stolen several times and that gets dressed up every once in a while, great beer, museums and the oldest gallery in the world. With an abundance of carriers offering flights to Brussels, both low cost and scheduled it is fairly easy to book cheap flights to Brussels and enjoy a trip to remember! 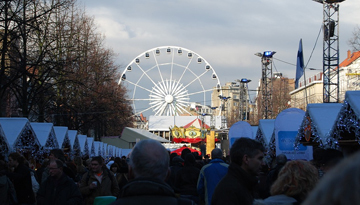 The name of Brussels is believed to have come from the Old Dutch Broekzele, which means "home in the marsh". It seems to have been officially founded around the year 979. However, the city only started to grow considerably after the construction of the city walls in the early 13th century. Hence, it doesn't seem surprising that much of Brussels architecture is from Gothic, Renaissance and Baroque times. Due to Brussels being the seat of the NATO and EU parliament, it nowadays is the location of many international institutions. However, it also has a monarchy - and the Royal Palace is one of the main sights in the city! But the absolute must-see in the city definitely is the Grand Place, which is surrounded by stunningly beautiful buildings in Gothic, Renaissance and Baroque architecture. Taking a break here and enjoying a Belgian waffle is one of the highlights of any trip to Brussels. The Flemish architecture is simply amazing and will leave you in awe. Another must on your bucket list is the Manneke Pis, a statue peeing into a pool. This statue was stolen by the French, which upset many of the city's residents. To soothe them, King Louis XV gave the statue a medal of honor, so that French soldiers needed to salute whenever they walked past it. The statue is still getting dressed up every now and then. Another great sight is the spectacular Atomium from the World Fair in Brussels. It is a modern structure with nine spheres, some of which are accessible to the public. Of course, a tour through the EU Parliament should be on your itinerary as well. Just sign up for one of the multimedia-guided tours with your ID card. Being famous for its beer and chocolate as well, beer and chocolate tours are some more pastimes offered to travelers to the Belgian capital. Generally, you can walk to any of the most famous sightseeing spots, as they are within walking distance. If you do need to take public transport, you can get anywhere by metro or rent a bike. As in most places in the Northern hemisphere, it is best to travel to Brussels between May and September. Temperatures can get as high as 30°C during daytime and as low as 9°C in the night. So, don't forget to bring a jacket! 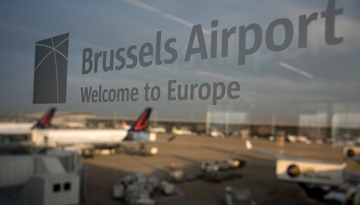 eBookers.com - British Airways offers flight tickets to Brussels from London just at £83.40 roundtrip. 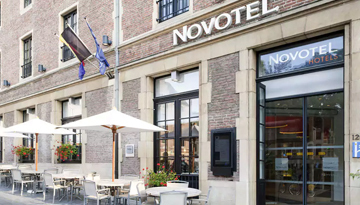 Novotel Brussels off Grand Place offers easy access to Brussels's best hot spots. Fly from London Heathrow - Brussels & Stay for 5 nights with 4 star accommodation. Include Room Only.